Local data journalism: Five tips and a few key things to consider – Open Data Aha! “It is at the local level that the vast majority of citizens interact with hospitals, schools, transport systems, the police and elected council representatives”. 1. Is it right for you and the story? Data journalism is an increasingly prominent component of the journalist’s playbook, but although it can help to deliver valuable output, it’s not always an easy area to engage with. “You need to be a particular type of person,” Birkbeck College, University of London’s Ben Worthy suggests. Personality traits aside, particular barriers that may be pertinent — but not solely applicable — to local publishers include time, skills and the format in which the data is available. Time is a particularly important consideration for hyperlocal publishers given that these sites are seldom run full-time as many successful practitioners hold down separate day jobs. Meanwhile, journalists at many local publications find themselves under increased pressure to produce an ever-greater volume of stories on a daily or weekly basis. As a result, journalists and publishers may come to the conclusion that they cannot cover everything and that their limited time is better served focusing on delivering content that is quicker and often easier to produce. Journalists should, of course, not be averse to hard work, but they also need to ask themselves if a data-driven approach is the right one and, if it is, how can they use it effectively. 2. Can I use an off-the-shelf solution? One way local publishers can make things easier for themselves is by using off-the-shelf resources such as mySociety’s FixMyStreet widget (above) or the US equivalent SeeClickFix (below). 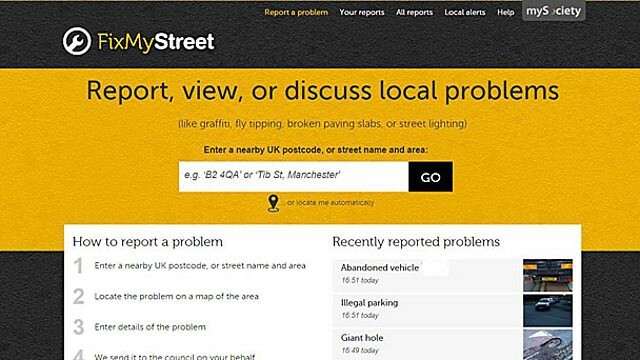 FixMyStreet is an online tool which enables people to “report, view, or discuss local problems like graffiti, fly-tipping, broken paving slabs or street lighting”. Since it launched in early February 2007, more than 775,000 incident reports have been generated through this service in the UK alone. According to MySociety more than 50% of users have never contacted their local council before, suggesting that the tool can play a role in promoting active citizenship, as well as being a fertile source for stories. Although tools like open data platforms FixMyStreet and the US equivalent are incredibly useful resources for journalists, they only do half a job. Data on its own doesn’t tell a story: we still need journalists to decide how to arrange, analyse and visualise data, as well as provide appropriate context and interpretation. These are important considerations for publishers, and the initial failure of EveryBlock — a US-based website which aggregated local information produced by government and state agencies — merely reinforces this point. Steve Johnson, assistant professor of electronic journalism at Montclair State University, notes that one of EveryBlock’s original problems is: ‘Readers don’t care about the raw data. They want the story within the data’. “There were reports on what graffiti the city said it had erased each month, by neighbourhoods but what was missing was context and photos. If I’m a reporter doing a story on graffiti, I want to show before and after photos and more importantly, I want to know whether the city is successfully fighting the graffiti artists — i.e. who is winning. The raw data didn’t provide that”. “As valuable as automated updates of crime, media mentions and other EveryBlock news items are, contributions from your fellow neighbours are significantly more meaningful and useful. 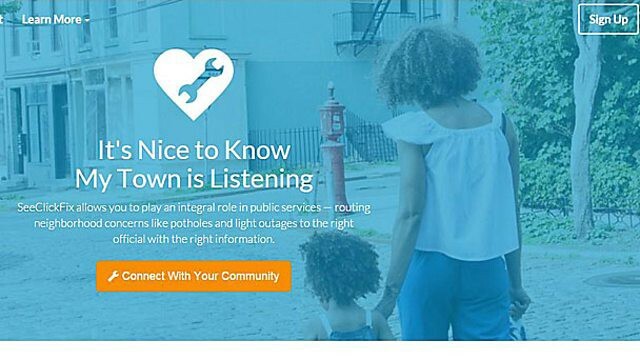 While we’re not removing our existing aggregation of public records and other neighborhood information, we’ve come to realise that human participation is essential, not only as a layer on top but as the bedrock of the site”. Prior to its 2014 revival by Comcast (see top image), this 2011 pivot was initially unsuccessful. The site was closed in early 2013 for nearly 18 months, highlighting the importance when producing community news and information of involving and engaging your community. “Professional and amateur, journalist and citizen may now work together to gather and share more news, in more ways, to more people, than was ever possible before. Networked journalism is founded on a simple, self-evident and self-interested truth: we can do more together than we can apart…This, I believe, is the natural state of media: two-way and collaborative”. Data journalism may be in vogue, but its usage needs to be assessed like any other potential editorial approach. Journalists need to determine if, when and how usage of data journalism tools and techniques add value to the stories being told. This sentiment is just as applicable in the local news and information space as it is when covering elections, reporting on public spending, or holding national bodies to account. When they use the techniques well, local reporters can harness data-driven journalism to inform audiences, support campaigns and garner fresh insights into the concerns of their audiences. Approaches to this should depend on a combination of the story being told, the skills of the journalists involved, what audiences want or need, as well as the media being used. There are lots of potential ways to do this. It’s now up to local publishers and journalists to make it happen. This is an adapted extract from Data Journalism: Inside the Global Future, edited by Tom Felle, John Mair and Damian Radcliffe. Originally published at www.bbc.co.uk on February 2, 2016.